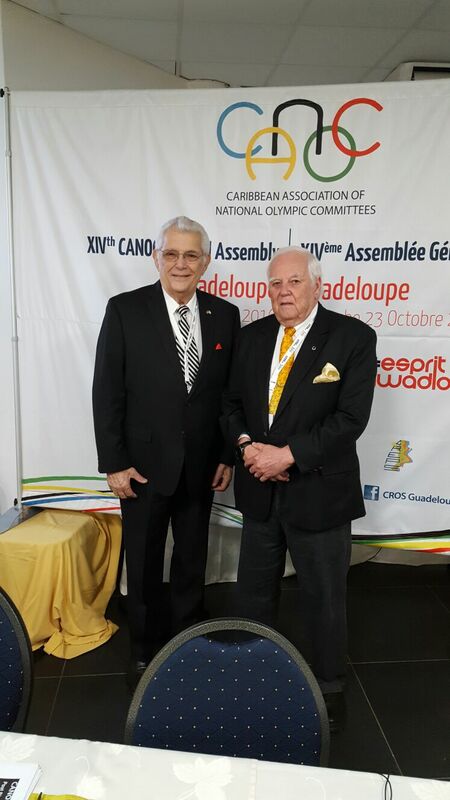 CACSO TURNS 90 – Barbados Olympic Association Inc.
Steve Stoute, First Vice President of the Central American and Caribbean Sports Organization yesterday highlighted that CACSO, the second oldest regional sports organization in the world, celebrated its 90th anniversary during the month of October. The first edition of the Central American and Caribbean Games was held in Guatemala in October, 1926. The participating countries were Cuba, Guatemala and Mexico. The total number of participants was 271, all males. Mexico won the most medals, followed by Cuba. Barbados first participated in the Central American and Caribbean Games in Jamaica in 1962. Since then, a Barbados team has been present at all CAC Games, winning medals on each occasion. The next Central American and Caribbean Games are scheduled for Barranquilla, Colombia in 2018.